Whether from a momentary lapse in attention or a total indifference to the speed limit, sometimes even the best drivers get speeding tickets. And now you are bracing for the sticker shock when you get your car insurance bill to see how much that ticket is going to cost you. With over 33,000 speeding violations issued per day in the U.S., there are a lot of drivers wondering the same thing. Paying the fine and court costs for a speeding violation is often chump change compared to the long-term increase you’ll see in your car insurance payment. Insurance companies generally assess a higher premium for around three years following the date of the violation, so you can expect that minor indiscretion to stick around for awhile. The extra premium you’ll have to pay all depends on your company and also the state you live in. It also depends on whether you had a prior speeding ticket, as some companies will hit you harder for subsequent violations. If you think you’ll get away with a ticket, think again. Once that violation hits your driving record, insurance companies will discover it thanks to their ability to monitor your motor vehicle report (MVR). Prior to issuing a new policy and before each renewal, your company can “pull” your MVR to find out if you have any recent violations, accidents, or serious convictions like a DUI or reckless driving. These incidents remain on your MVR for three to five years or longer, but each company has their own chargeable time frame. Violations indicate higher risk behavior. Some companies will let the first speeding ticket slide, but receiving multiple violations over a period of a few years is a good indicator that you are a high risk to insure. Insurance companies assume risk by insuring you, and speeding tickets correlate to higher risk for accidents. The higher the risk, the higher the insurance rate. Higher rates plus loss of discounts. Not only will your rates go up due to a surcharge for a violation, but you could also lose any discount you may be receiving for having a clean MVR. It’s a one two punch that results in significantly higher rates. As we stated earlier, the actual amount that speeding ticket will cost you varies by company and state. As an example, an Illinois driver with State Farm can expect only about a 3% increase after the first ticket, and no increase after the second. A driver in Florida insured with GEICO has a good chance of not seeing any rate increase after the first OR second violation. The story with some other companies is different, however. Drivers in Florida insured with Progressive saw an increase of 30% after their first speeding violation, and another 26% after their second ticket. These increased took their premium from $2,185 before any tickets to $4,440 after two violations. USAA had a jump of 11% after the first ticket and an additional 4% after the second. Farmers insureds get hit pretty hard, with a 23% bump after one ticket and another 16% after two, taking their rates from $1,657 up to $3,131. American Family had an 8% increase for both the first and second speeding violation. To show you how speeding tickets and at-fault accidents can impact your car insurance rates, take a look at the chart below. The chart shows that the average cost of an auto insurance policy per year with no accidents or violations is $1,092. Receive one speeding ticket and the average cost jumps to $1,271, an increase of $179 each year. Now add two at-fault accidents along with the one speeding ticket and the annual cost of auto insurance goes up to an average of $2,886. That’s an increase of $1,794 a year, or $150 per month, just due to a few lapses in judgement at the wheel. The first thing to do after receiving a ticket is to check to see if your state offers drivers the ability to take a safe driving class. In return for taking a defensive driving course, many states will void the speeding ticket as if it never happened. There are limitations on how often you can take the class, usually once per year. But the savings you get by not having the violation on your record is well worth the day spent learning to be a safer driver. You may not see a rate increase on your next renewal, depending on how long it is until your policy expires. It takes some time for a violation to work its way through the system and onto your MVR, so you may buy some time until the surcharge appears. Once you see the violation on your policy, which is usually indicated on the Declarations page under the insured drivers section, you’ll know how much extra you’re being charged. If you don’t see much of an increase over your last term, congratulations! You are one of the lucky ones. 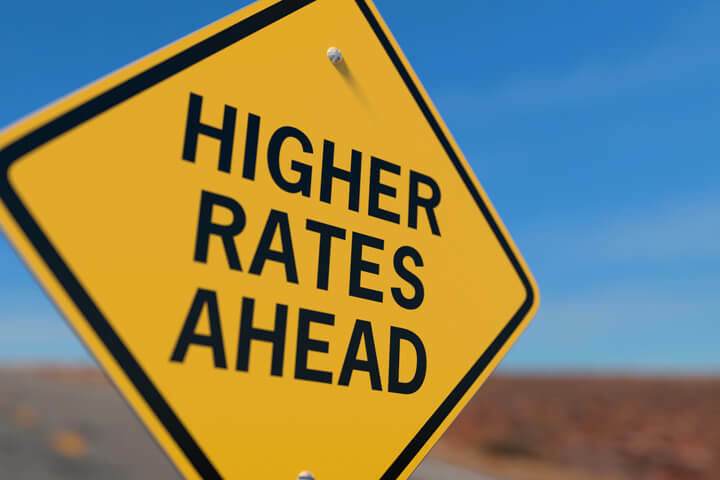 If you do see a significant increase in rates, it’s a great time to shop your policy around and see if you can find a cheaper company. As we stated before, some companies hit you hard for any kind of MVR infraction, and others have more leniency. So if you got socked with a big increase, you may be able to save money by switching to a different company.